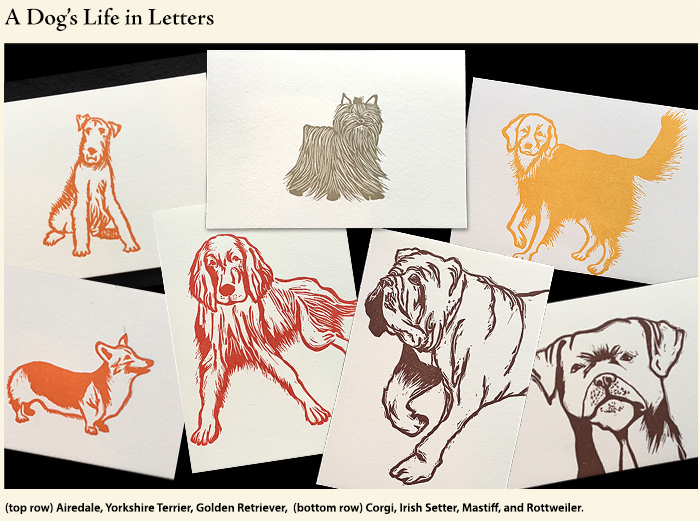 “A Dogs Life in Letters” (linocuts by Peggy Gotthold). Seven letterpress printed greeting cards with envelopes, blank inside, printed on Lettra. Cards are 4.5 by 6.25. The set is $21, shipping $4. 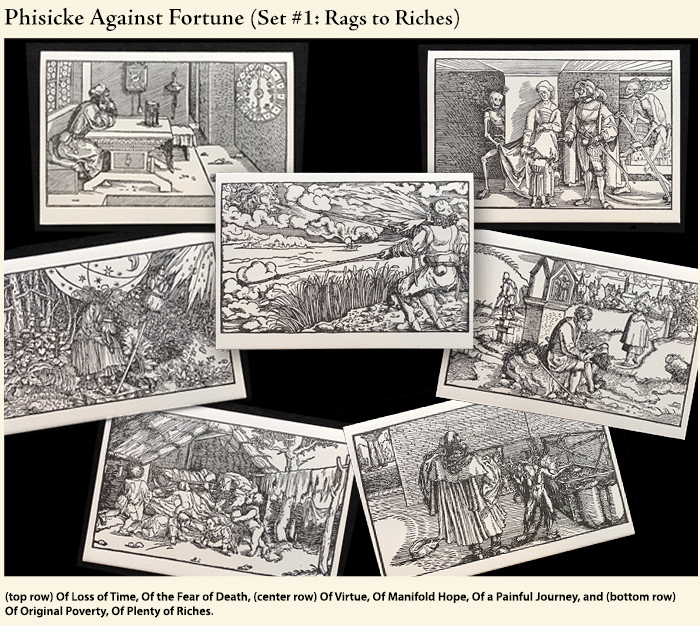 “Phisicke Against Fortune” (Set #1: Rags to Riches) linocuts by Hans Weiditz. Seven letterpress printed greeting cards with envelopes, blank inside, printed on Lettra. Cards are 4.5 by 6.25. The set is $21, shipping $4. 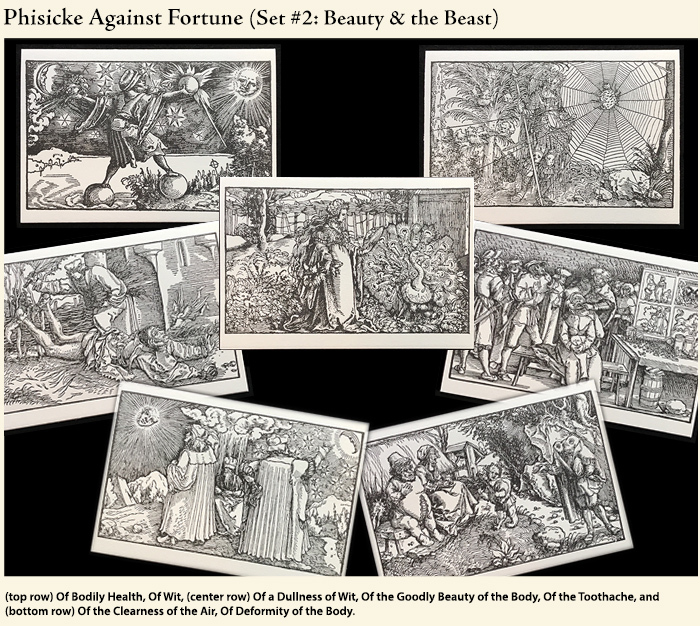 “Phisicke Against Fortune” (Set #2: Beauty & the Beast) linocuts by Hans Weiditz. Seven letterpress printed greeting cards with envelopes, blank inside, printed on Lettra. Cards are 4.5 by 6.25. The set is $21, shipping $4.